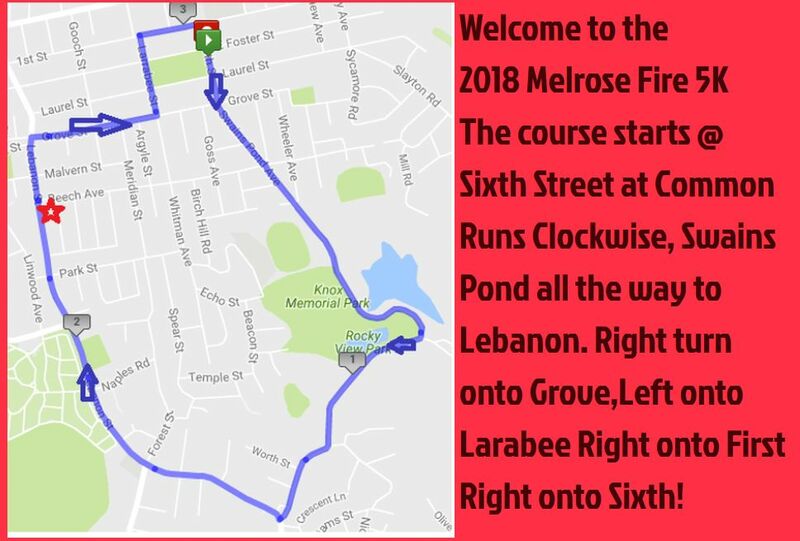 The 6th Annual Melrose Firefighter's Father's Day 5k promises to become and early summer staple event! The fun starts with a free kids race where everyone wins! Music, snacks, and fire trucks will abound. Entry fee: $30.00 preregistered and on race day. Kids 1/4 Mile race is free. Sign up your team members. Biggest team to register before race day gets a prize! Race Times: The free kids race starts at 9:00am, and the 5k begins at 9:30am. Location: The Melrose Common Firehouse, 280 East Foster Street, Melrose, MA. Parking: Available at the Winthrop School, 162 First St., Melrose, MA. T-shirts to the first 300 registered participants.